Here's my latest eBay find. 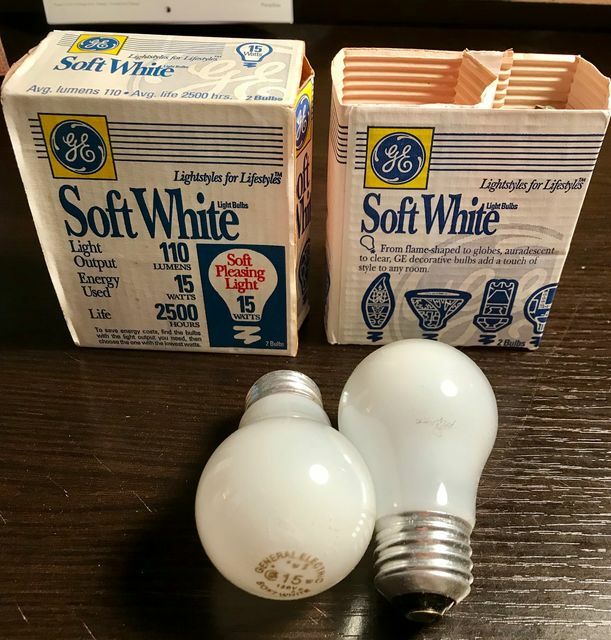 These two packs 15 watt GE's came with their original packaging from the Lightstyles for Lifestyles era. The inner sleeve has pictures of GE's other specialty lamps. I find it interesting how these 15 watt GE bulbs have light golden etches. This packaging takes me straight back to my childhood. Nice find! My brother has one of these two packs. Vintage incandescents are still plentiful here fortunately! The golden etch still seems to be a thing. With that said, I've noted the latest versions almost seem to have a Q-coat finish! Do these have a coiled filament and 3-5 supports? Yes, these have the C-shaped filament with three supports. The filament is so thin, I can't tell if it's coiled.